If only we were not much further along the path to tyranny than you see. 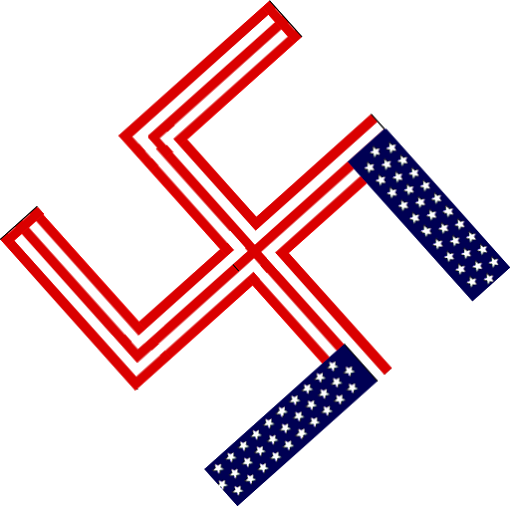 The great mistake we are making is believing that America will be a tyrannical dictatorship like Nazi Germany. Like you would choose to, America has already learned from the mistakes of history. What you see going on around you is most likely a war against our liberty that will be won by the people. Sad to say it, that is irrelevant, as the government has repeatedly ignored the law of the land. While you will win the battle over the Second Amendment, you have long lost the battle for the Fourth; and even worse you let it go without even shedding a tear. The war we are losing is not the voluntary relinquishment of rights temporarily in a time of crisis or war. Boston is not the problem. The problem we are facing is the people’s complete lack of desire for transparency in the government, their cowardly acquiescence of their privacy and right to protest. We have stood by and watched as the NSA, FBI, and now even the IRS claim to have the right to invade our privacy and read our email. There is much more nefarious work afoot, one day soon, if not already; the very appearance of freedom of information on the internet will be enough to keep you from understanding that information is no longer free. What do I mean? In a world not much unlike our own, the government has already put hardware in place that will allow it to create a transparent censor wall, one in which you believe you are getting all the news you want, even crowdsourced news on places like reddit. In reality, what you are getting is meme’s and Huxley’s vision of a deluge of useless information. At the same time, the news you need, the truth about situations like Sandy Hook and Aurora is being hidden from you. I know this is true, because I am guy on the other side of the fence. In this strange world, science appears to be progressing, because your cell phone keeps getting smaller and smaller. At the same time, for some reason we don’t even care to question, we are still powering our vehicles with a fossil fuel that is destroying the environment and costing us more and more every day. Here, in Oz, the Internet is now in the air, instead of behind a 2400 baud modem; unfortunately at the same time, our space program is shut down completely, and in lieu of exploring space, we instead explore the inner recesses of tar sands looking for more oil to fuel the giant beast known as ExxonBush. In this world it is the small battles that are lost that will destroy us, and take away our freedom. We will look to our gun and smile, thinking we won. Guns are not the weapons of the future, information is. While we continue to consume news as if it were Soylient Green, we will stand by and have no idea what is coming in the next few years. Guns will not help us, the only thing that will save us is sharing knowledge, right now. There is an invasion coming, a real bona fide invasion. You don’t know because your government is lying to you. Do you believe Roswell happened? It did, it was the beginning of the end for us. Listen to me carefully, the truth is about to slip right through your fingers. Want to know how long we have? Want to know what the hell is *really* going on? Reblogged this on USA COINTELPRO VICTIM OF POG CIA DOJ DOD PATRIOT & SPACE PRESERVATION ACTS.